I love to inspire people to clear their clutter and I just learned that my aunt was inspired to clear hers after a conversation we had this summer. It works both ways, hearing her experience inspired me and I thought the story might also inspire you! This summer I had the pleasure of visiting my family in Connecticut for a two week vacation; relaxing on the beach, lots of time with my family, delicious meals and I got to meet my niece, baby Katie. 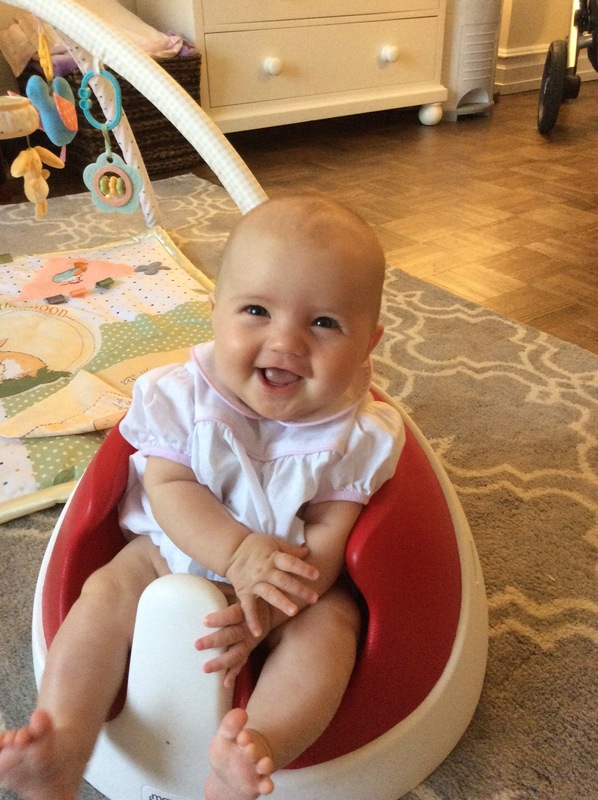 She is an incredibly happy baby and she made everyone around her happy. While I was there I had a great conversation with my aunt Patty about clutter. She said, “tell me about decluttering.” She expressed the burdensome feeling of ‘to much’ and how things accumulate over the years. I was impressed with her insights into the affects of clutter and with her observations on why we hold onto clutter. Over and over again people have this same experience when they clear their clutter. The more cluttered our spaces get, the more cluttered our minds will be. The weight of a burden is lifted. Save time & money-The average person spends one year of their life looking for something they misplaced! Click Here to learn more about Clutter Clearing and Home Organizing consultations with Megan Montero or call (831) 588-5424.